Rentacomputer.com has a slogan, your 'tech travel agent'. What they mean by that is exactly as it sounds. If you travel and you need technology where you are going a tech travel agent can coordinate the delivery, installation of that equipment at your travel destination, just like a travel agent would coordinate your hotel and flight. Say perhaps you are going to make a sales presentation and you need a projector and a laptop with PowerPoint. You could carry your laptop, projector, and your suitcase with you or you could have the technology delivered and installed at the office where you will be making your presentation. If you are presenting to a large audience large projectors can be implemented just as easily. With one phone call, email or text to a technology travel agent, you can have both the laptop with PowerPoint and the projector/screen delivered and installed at your travel destination. When you are done with your presentation you can relax because your tech travel agent has scheduled a tech come by to disassemble, packup and return all the equipment to the shop. 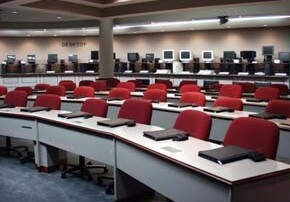 Or perhaps you are putting on a training class, working a trade show, managing a meeting, involved with a conference, you likely will need projectors, plasma flat screen tvs, copiers, laptops, tablets, iPads or even access to the internet, Rentacompuer.com can help like no other single technology rental company. 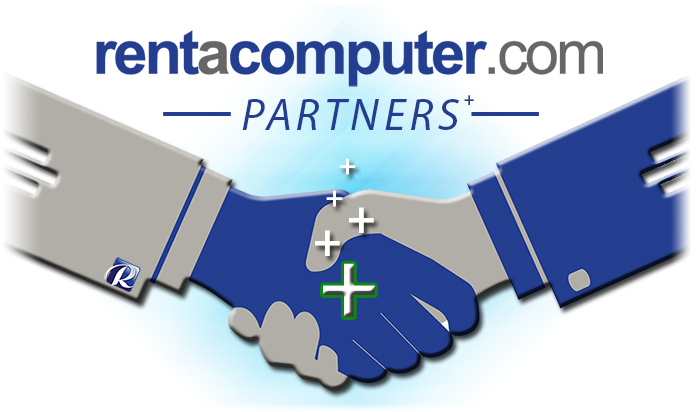 With so many SMB partners located worldwide, Tech Travel Agents from Rentacomputer.com are able to find and book all the technology you need in all the cities where you need equipment. Rentacomputer.com handles everything from delivery to setup to pickup after the event. This comprehensive service is available from no other single company in the world. With a constant analysis and ranking system, you are assured the best inventory and manpower on your install. Tech Travel Agents do all the work in making sure the right product is delivered on-time and installed/tested at your location to your satisfaction. Tech Travel Agents deal with the installers, managers and owners of the companies. Great local people like Mike Harrison from Hamilton Rentals Plc, in Bracknell, UK, and our new partner Michael Villanueva of RentalProjectors.com in Willoughby, Ohio. Tech Travel Agents know who are the best and can coordinate the services from multiple business partners. With more products, to more locations than any other single company a Tech Travel Agent is your single source for all things technical, worldwide. Laptops, desktops, servers, tablets, and iPads! It doesn't matter what type of computer you need, we've got it to rent for you! They have everything to make your next event a success! Tech Travel Agents will handle all your computer technology requirements, anywhere - for any length of time! Rates are tailored to the period of time you need. Computers, laptops, servers, ipads, tablets and more! Projectors, Plasmas, Video Wall, sound, lighting, staging, kiosk, video gear and more!